Never a club to rest on their laurels, Balbriggan have been working hard on and off the field, and look well placed not for just this season, but for many years to come. They have added five players to their ranks which will certainly strengthen the depth of their squad as the new league structure gets up and running this weekend. A club spokesperson looked ahead to the new season, outlining what had been happening at the club over the winter months. "Balbriggan are looking forward to the new season kicking off with both excitement and trepidation. We have worked hard over the winter break in all areas of the club. We have significantly increased our Junior winter Coaching with sessions before and after the New Year and are already having 1 to 1s with our junior Players each Saturday at the club. "Like every club our goal is for every young player to have the tools and support to be the best they can be and enjoy the game as much as possible. The juniors and their development remains and will always be our primary goal as a club. "We have invested significantly again this year equipment and facility wise by updating our Pitch Roller , buying a new Roll on Practice net , New Junior bowling machine , Updating Tea room furniture and facilities and are about to mount the electronic Scoreboard. We also have at least one more Club improvement which will be announced in due course. "Lastly we are also at draft plans stage with the redevelopment of our clubhouse which when realized we feel will allow us to really kick on as a club. "A number of players have joined us over the winter to strengthen the 1st and 2nd teams in particular which is always a positive as it provides healthy competition and hopefully a few selection headaches. "We have a number of our youth players in the 2s who we hope will be pushing to break into the 1st team over the course of the season including 14 year old Eoin Birch who continues to improve and impress with his dedication , application and ability. 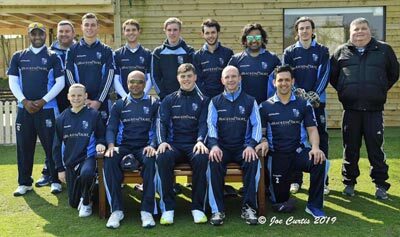 "Nathan Rooney takes the armband from Duane Harper who led the team magnificently for the past 5 years and has guided us to a position where we now feel at home in Senior Cricket. "Nathan will lead a young and hungry side with a sprinkle of valuable experience to support him and we are hopeful that we can be competitive in the new format for 2019. "As a club we continue to look and move forward , we have a dedicated and incredibly hardworking committee and a club and a town who are supporting us in every way possible."